Energy healing promotes healing by enhancing energy flow and correcting disturbances in the “human energy field” or “aura” which permeates and surrounds the body. 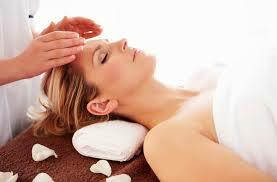 Improving the flow of energy in the energy field supports the self-healing capacity of the body. Currently, there is a kind of revival of ancient understandings about energy healing in the light of modern science. “Laying on of hands”, which appeared in many times and cultures, is being rediscovered and formulated into healing techniques which are accessible to people in the present time. There are also more and more people who are spontaneously becoming aware of healing “gifts”. Energy Healing works directly with the endergonic level of life. Since everything is energy, all healing ultimately involves energy. Most healing methods are focused on the physical, mental and emotional levels of life, without recognition of the deeper underlying energy. 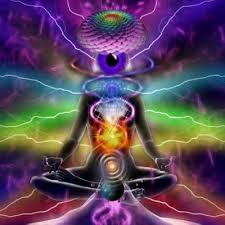 Energy healing works purely with the energetic level of our being. Since everything is made up of patterns of energy, working directly with energy influences the physical, mental and emotional, as well as the spiritual level. Energy healing is thus by nature “holistic”. If there is an illness or disturbance in the body, mind or emotions, we certainly want to address those levels. Energy healing, however, complements and supports other methods of healing, because it addresses the energy of which the body, mind and emotions are composed. The client remains fully clothed and is treated in a lying position to allow for comfort and relaxation. Soft music is played while energy flowing through the practitioner’s hands is directed to the client with a light touch on and above the body for Reiki and underneath for Jin Shin Jyutsu. Each session is uniquely tailored to the clients individual needs, often producing feelings of peace and well-being while allowing the client to take away enough energy for the body to help heal itself.